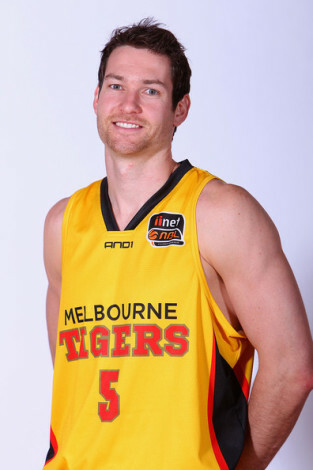 Following on from Downtown part 1 with Liam Santamaria, we caught up with recently retired NBL Melbourne Tigers captain Tommy Greer to talk downtown and NBL. Tommy, congratulations on the launch of Downtownball, i'm a huge fan! Cheers mate, This is something Liam Santamaria and I had been talking about for years, so to finally have it up, running and received so well by the basketball public is really great feeling. Mate, you just retired as captain of the NBL Melbourne Tigers. Can you share a little about your basketball upbringing and maybe give us a career highlight? Well where to start? I guess the abbreviated version of the story goes.. I started my junior basketball playing for the Whittlesea Pacers before moving to the Knox Raiders in under 18s. I played SEABL at Knox under Damian Cotter which is where I met my good mate and co-founder of Downtown Liam Santamaria. I then left for college in America playing for two different Div 2 schools in Georgia and Florida. Once i returned home i began training with the Melbourne Tigers as training bait. I never expected to get a contract but kept showing up each day and going as hard as I possibly could. Al Westover gave the final spot on the squad to someone who turned it down to continue their college career and that is how I got my start at the Tigers. Nine years later, I am 10th on the leaderboard all time in games played for the club, 3 time team captain and last captain ever following the rebranding to Melbourne United. I consider myself extremely lucky to have had the career I have and will look back on it fondly. You also spent some time around the traps with some MUBC legends like Liam Norton & Scott Cuffe? Yeah i was lucky enough to play a season of ball with Liam Norton for the Eltham Wildcats in the Big V where we finished as runners up. Liam and scotty are both great guys and continue to play really solid and exciting ball. We've had some other NBL guys who started out at MUBC. What's your take on Dean Vickerman & Adrien Sturt.. I remember asking myself all the time why Sturt was a 6'11 guy who always wanted to shoot 3's. Does it bother you when big teammates like that don't just focus on dunking in peoples faces? Well firstly Vickerman is one hell of coach. He was my first ever professional assistant coach in the NBL. He does a great job of connecting and communicating with his players and that has been shown with his appointment to head coach of the Breakers last season. Sturty was one hell of a talent, in fact i am sure he still is. He spent a lot of time with us down at the Tigers and everyone from Chris Anstey to Andrew Gaze were blown away with his size and athleticism. Without the weight behind him it was hard for him to base his game around back to the basket post ups so he moulded his game around that of a stretch four. It never frustrated me that he wouldn't post up enough as i understood that his best chance of furthering his game at the next level would be by becoming that stretch 4/5. Adam Ballinger attended an MUBC game recently and I notice you have featured him for a few writeups on downtown. Got any good inside goss or funny stories on him or any of your other former teammates? Not off the top of my head I don't, but i can tell you that ballsy is one of the coolest cats around town ha. He is a self confessed and un-apoligetic NERD. He is incredibly talented and funny to boot. No doubt one of my favourite teammates over my time in the league. What's it like being captain of an NBL team? Do girls swoon for you at CQ? Do kids get excited for your autograph? Did it live up to your expectations? Good question to which the answer is easy.....NO! I have only ever been recognised outside of a basketball stadium a few times. This is a major reason for our website. It gives the Australian basketball public a chance to read some feature articles on the guys who are playing in our national league and helps them get to know them. Basketball in Aus needs some heros again, in my opinion they are there, they are performing every weekend, but we are not doing a good enough job of promoting them. A lot of the pro ballers i've met seem to have been so focused on basketball from such an early age that they don't seem to have a lot else to fall back on when their career is over. Liam's downtown interview with Damon Lowery was a great example. How much money do NBL players make and do any of them have other jobs? The salary range in the NBL is a broad spectrum. development players around the league would be lucky if they were slipped some petrol money and rookies can make as little as 35-40k a year. Its not all doom and gloom though. Most NBL players earn enough money so that basketball can remain their one focus. Most salaries (and I'm guessing here) would fall in the 70-110k range with a few exceptions breaking the 110-150 bracket. Every player and every club assess their own situation differently so to give you a clear understanding of the kind of money involved is difficult. That my best guess for you ha. Wow, that's stunning to me! After say a 6 year career, that means total earnings of maybe 300-400k after tax, that's not even enough to buy a nice house!! Do you reckon that's why a lot of the young guys who arn't quite good enough for the NBA/Europe end up switching to footy like Scott Pendlebury? Possibly? Once again, every situation is different so its hard for me to comment. Its not football money but you can make a good life out of playing basketball in this country. It's not as easy as simply switching to football. Scott Pendlebury was an exception who excelled in both sports up until a late age where he decided to play football, this is not true for most athletes. For most people they are clearly more interested or better at the one sport while dabbling in the other. To this i would say you simply have to follow your passion. On that note, it's nice to see you following your passion and carving yourself out a nice little presence in the media with @downtownball? Thanks mate. Make sure everyone is checking out the site on a regular basis for new and interesting articles along with our NBL/NBA podcast. It recently topped the itunes sports and recreation rankings!